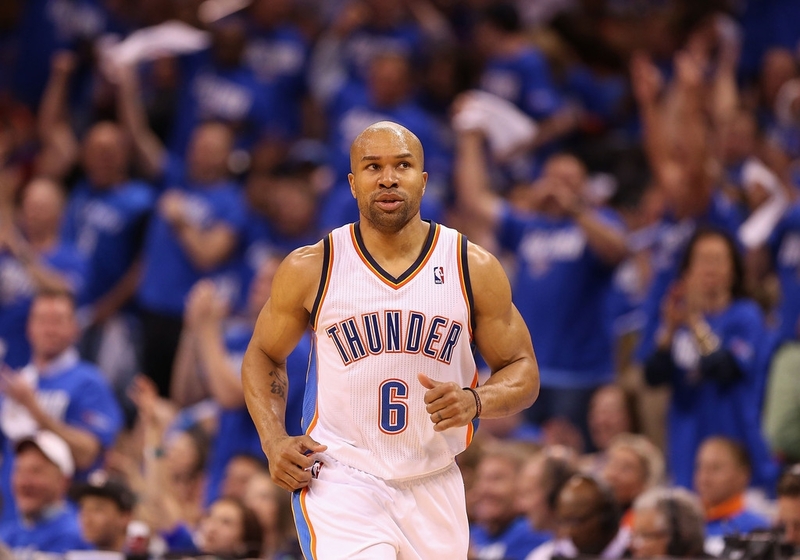 Derek Fisher #6 of the Oklahoma City Thunder reacts after hitting a three point shot against the Houston Rockets during the second half of Game One of the Western Conference Quarterfinals of the 2013 NBA Playoffs at Chesapeake Energy Arena on April 21, 2013 in Oklahoma City, Oklahoma. The Thunder defeated the Rockets 120-91. NOTE TO USER: User expressly acknowledges and agrees that, by downloading and or using this photograph, User is consenting to the terms and conditions of the Getty Images License Agreement. - high-definition photo for free download.